GlobalX, an online information and workflow solutions provider for the legal and conveyancing industry, has offered rare praise for a direct competitor, SAI Global. The compliment comes after SAI Global successfully sued a former employee for infringement of copyright, intellectual property, breach of his Employment Agreement and breaching his duties under the Corporations Act 2001. In an internal investigation looking into Liam Johnstone, SAI Global found out that the former employee had copied sensitive information about the firm’s client list as he transferred to a rival, Infotrack. Moreover, SAI Global also found out that Johnstone had brought with him confidential information related to the customer list of GlobalX, his former employer, when he moved to SAI Global. Rather than keep the information to themselves, SAI Global informed GlobalX of the breach. 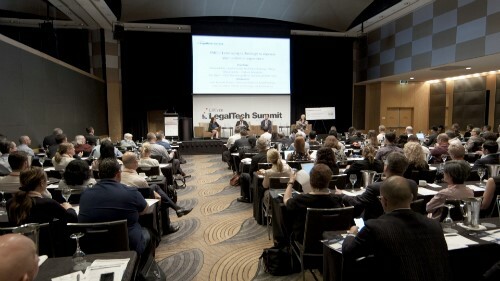 “On the night of 7 December 2015, the Executive General Manager of SAI Global Property, Ms Ann Wootton, contacted me to advise confidential information pertaining to GlobalX’s customer’s list was found on Mr Johnstone’s laptop by a forensic technology expert,” said GlobalX chief executive Peter Maloney in a statement sent to Australasian Lawyer. “Demonstrating impeccable leadership Ms Wootton advised me that the information had been removed from SAI Global’s network, apologised for having to give me such news, and reiterated that actions such as these are completely inconsistent with SAI Global’s ethics,” he added. Johnstone had been ordered by Justice Moshinsky to pay $196,416 in SAI Global's costs, on top of the $9,431 in damages. He had admitted last year that he copied SAI Global’s Daily Revenue Report onto the hard drive of a laptop computer supplied to him by his new employer InfoTrack, which included sensitive customer information. He also claimed that he used the SAI Global Daily Revenue Report to ascertain which SAI Global customers were also customers of InfoTrack but did not use the information to make sales calls or contact any customer for any other purpose. Johnstone said that he committed the actions on his own and there is no suggestion that InfoTrack knew of or sanctioned the conduct. “The release of Justice Moshinsky Orders is an important reminder of what our customers would expect from suppliers and face-to-face representatives,” Maloney said.